Thanks to the top leveled digital printing machines, revolutionary technologies and systematic management of information, Baoshen Group has been able to pursue the continuously improving quality and productivity. 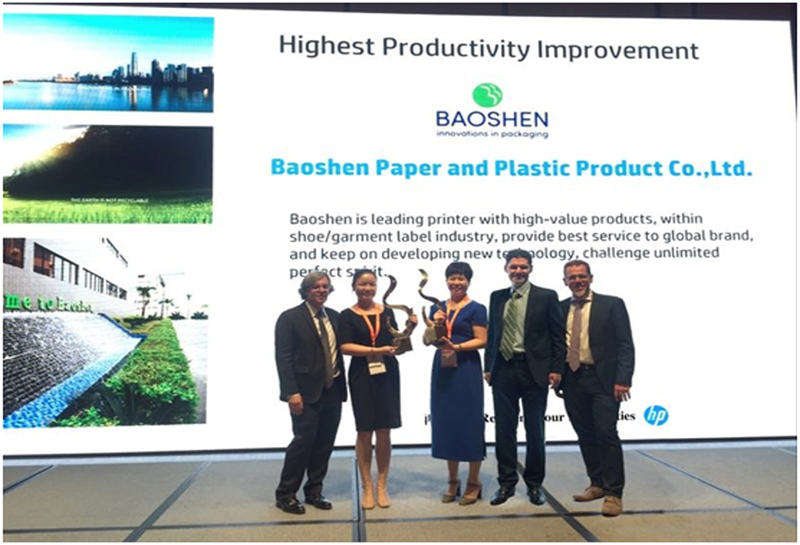 Recently, as HP’s Top Digital Printing Strategic Partner in Asia Pacific and Japan, Baoshen Group has been again awarded with Highest Productivity Improvement by HP Inc., Printing and Personal Systems Group. We’ll take this honor as a brand new start adhering to our enterprise philosophy of Seeking the Best Quality and Service and continue to serve our global quality customers all along.